I’m Miral Sattar, writer/journalist/techie and founder of BiblioCrunch. Kudos to you for embarking on this novel-writing challenge! 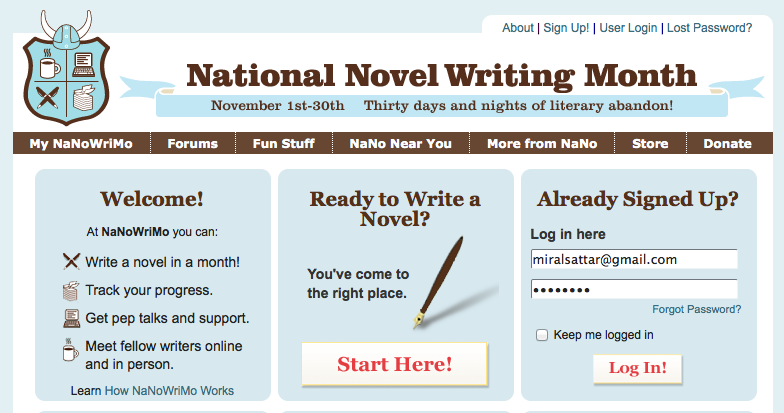 We’re proud to be an official sponsor for NaNoWriMo and we’ll be supporting our authors in a variety of ways. To start we’ll be hosting a series of Twitter chats on #indiechat (Tuesday 9pm EST). 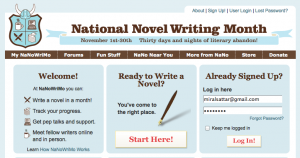 But at the end of NaNoWriMo, what will you do? Will you need editorial advice? Will you want a professional manuscript critique? BiblioCrunch can help you find the professionals you need to take your NaNoWriMo work to the next level. And all within your personal budget! BiblioCrunch helps connect authors with the book publishing professionals they need to publish a high-quality book. Members of our exclusive community of industry professionals have worked for some of the largest publishing houses in the world including Simon & Schuster, Penguin, Random House, and Harper Collins. This excellent and convenient service provides aspiring authors access to some of the best professionals in the book publishing business. BiblioCrunch has been featured in Publishers Weekly, MediaBistro, Wall Street Journal, Library Journal, Columbia Review, GigaOm among other press outlets. It’s easy to get started. Just create an account and post your publishing needs and desired budget. Sit back and wait for the proposals to pour in. Then choose the best match for you and your project. By leveraging our community of rated and reviewed editors, cover designers, proofreaders, conversion specialists, marketers, publicists, and enhanced eBook experts you’ll be able to publish the best book possible. If you would like more one-on-one assistance, BiblioCrunch also offers a concierge service that will guide authors through the publishing process – from start to finish. You can find more details on the process on our How it Works page. We welcome your NaNoWriMo ideas, comments, questions and feedback, either here, on our website, or through our social media channels. For details on our free and paid plans visit our Subscriptions page. Good luck this month. We’re rooting for you!